Friday and that means we have another tutorial to share with you. 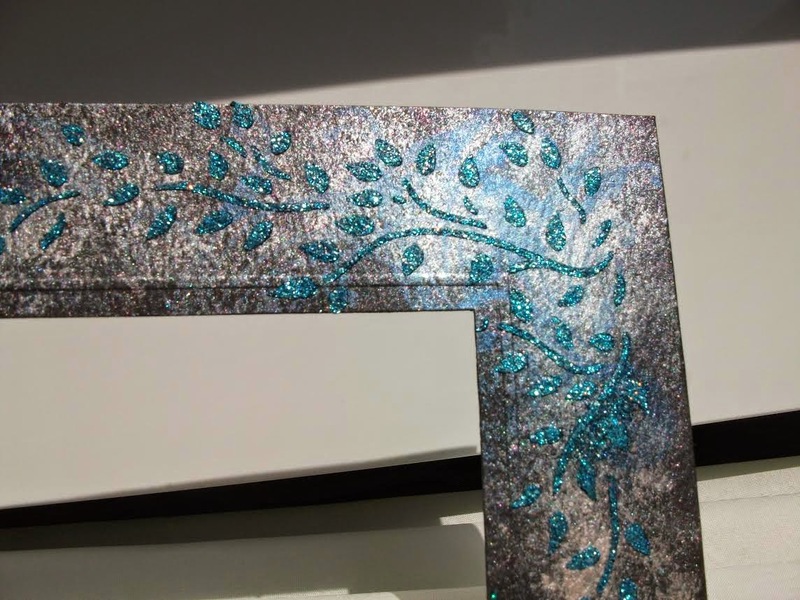 Today Rachel will share with you how she created her card using Fibre and Film. 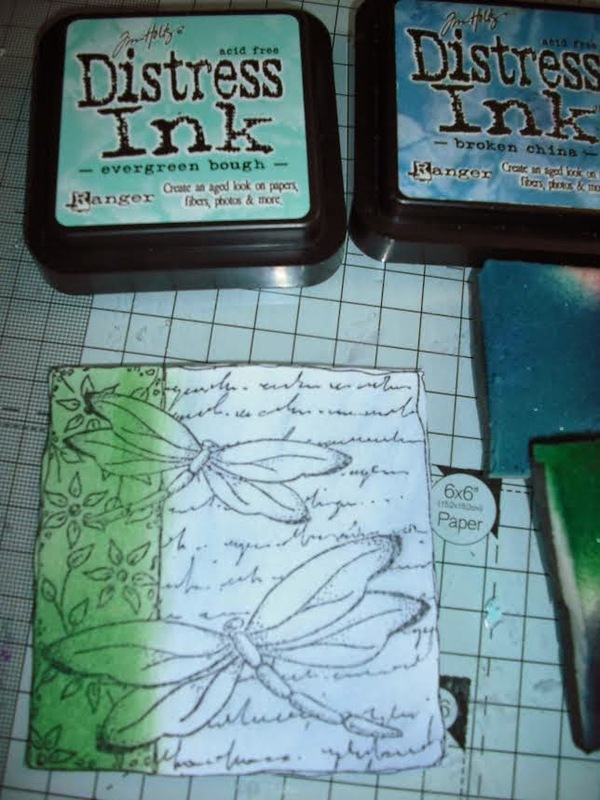 Stamp dragonfly stamp using Memento ink pad. Use distress inks and cut and dry foam to colour the two halves of the image. 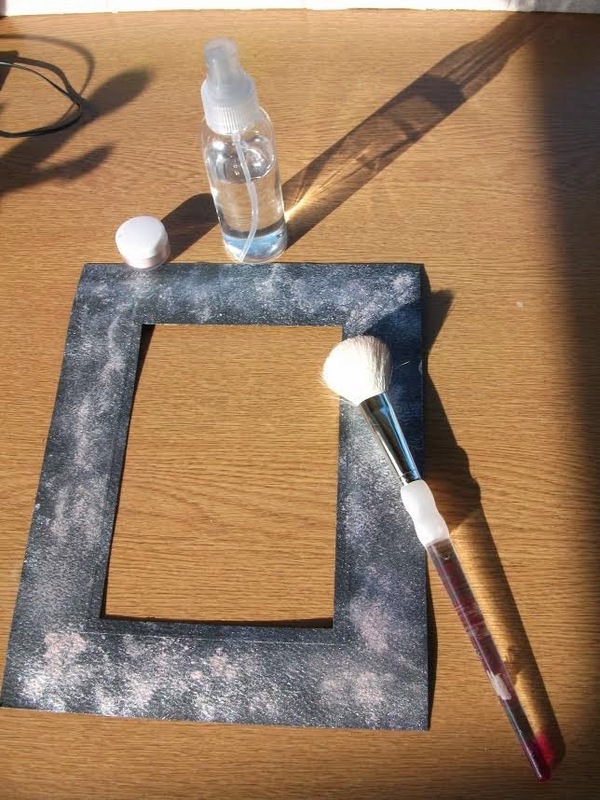 Collect items together to create film and fibre dragonfllies. 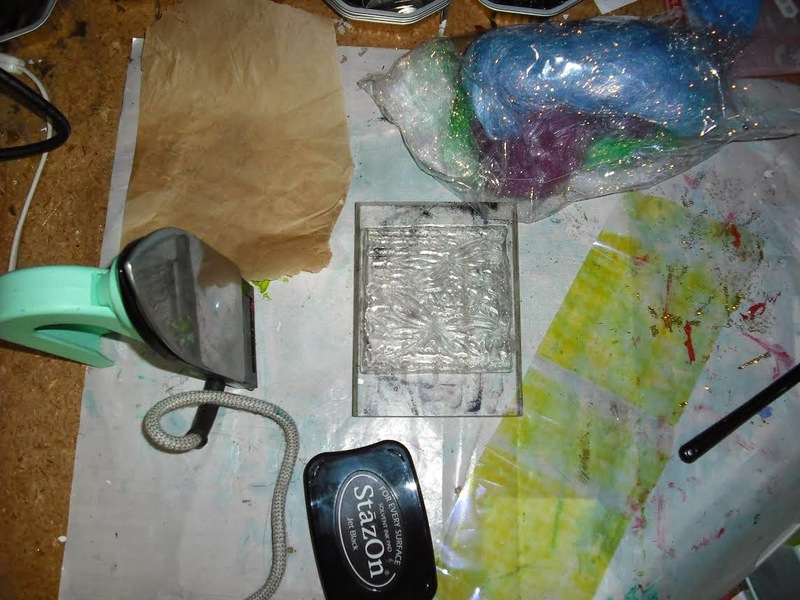 You will need Angelina film and fibres, stamp, StazOn, greaseproof paper and craft iron. a layer of fibres and a final layer of film making a film and fibre sandwich. 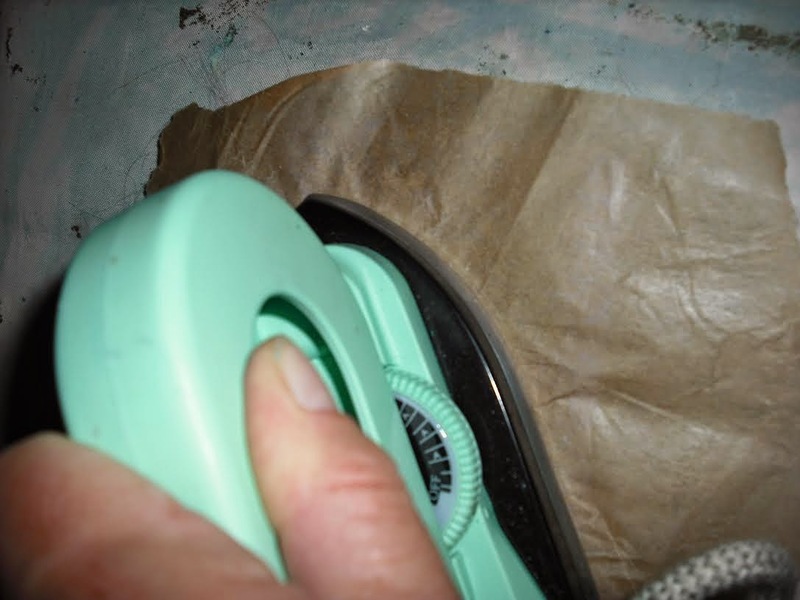 On top of the film and fibre sandwich add a layer of greaseproof paper then iron over with a warm craft iron. When the image starts to show through you should be fine to remove the iron and the greaseproof paper. 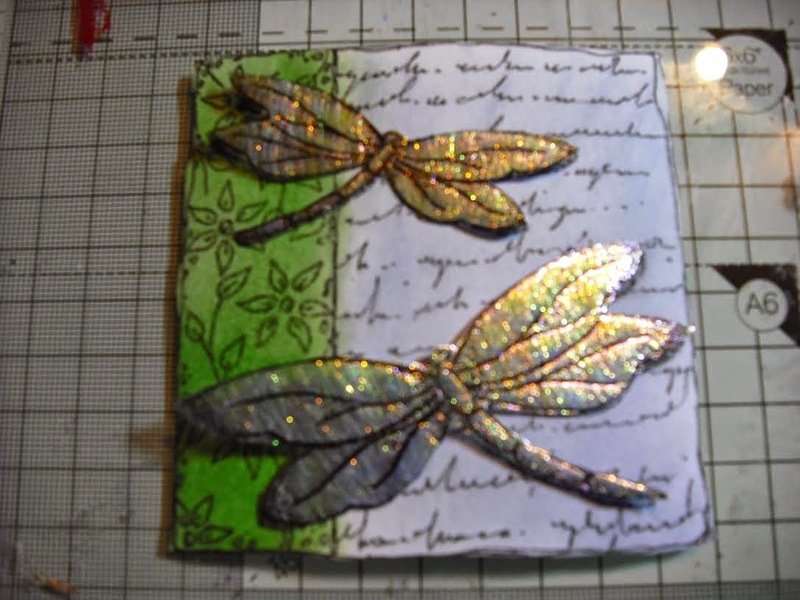 Pull back the film and fibre sandwich from the stamp and cut out the dragonflies using scissors. Add the dragonflies to your image after colouring in flower details using spectrum noir pens. Matt and layer the image and add a sentiment. 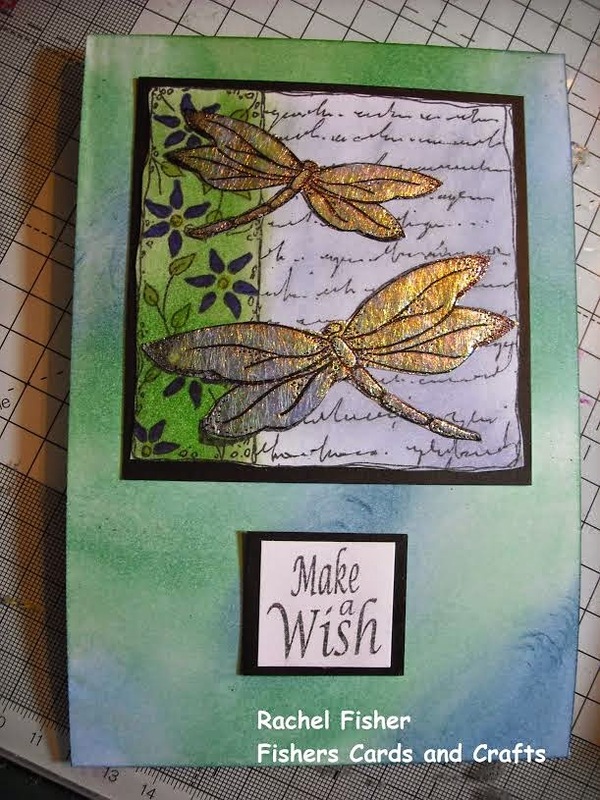 Add to card coloured using the initial distress inks. Today we have a wonderful tutorial by another of our talented design team. 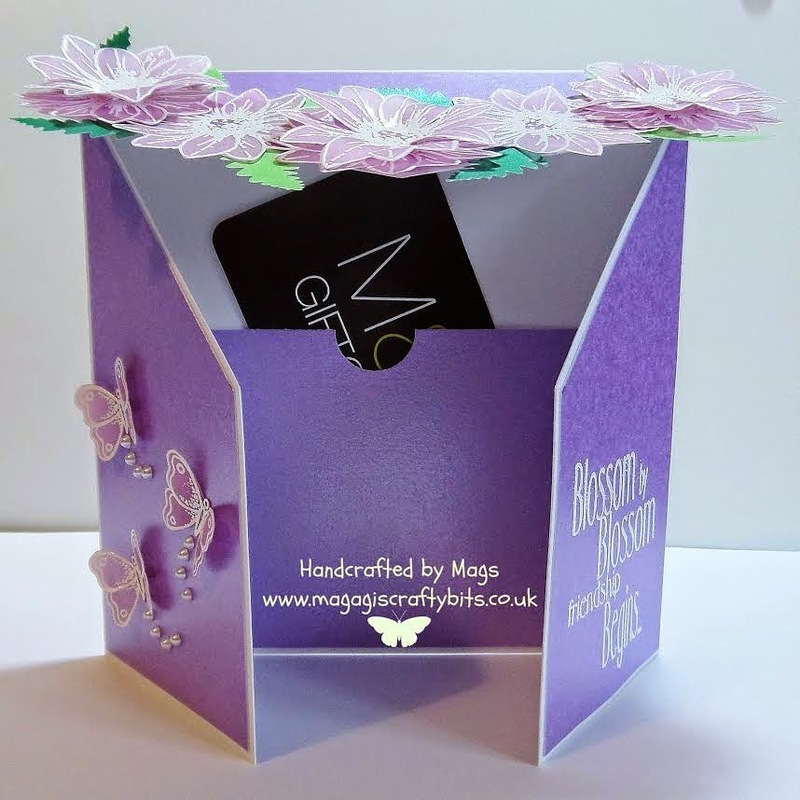 Mags has made this gorgeous gift card. 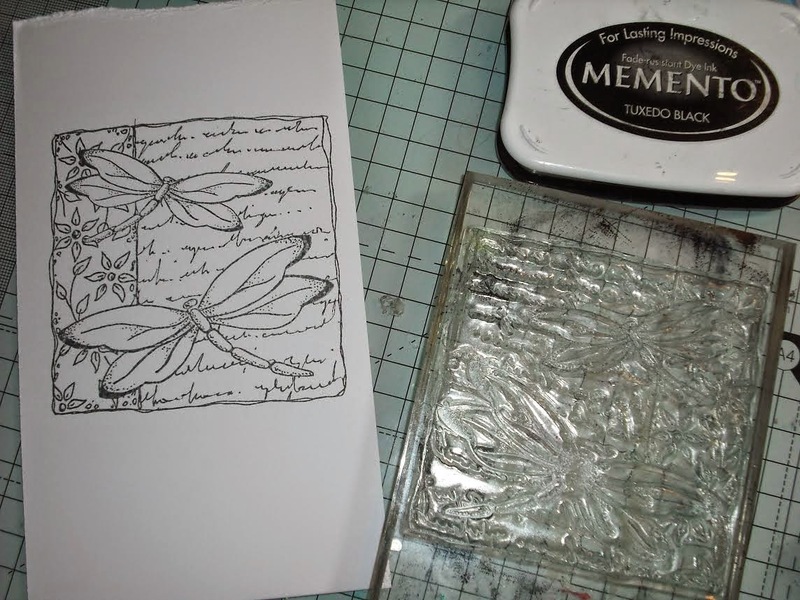 Make a base card by using a piece of card 21cm by 28cm. 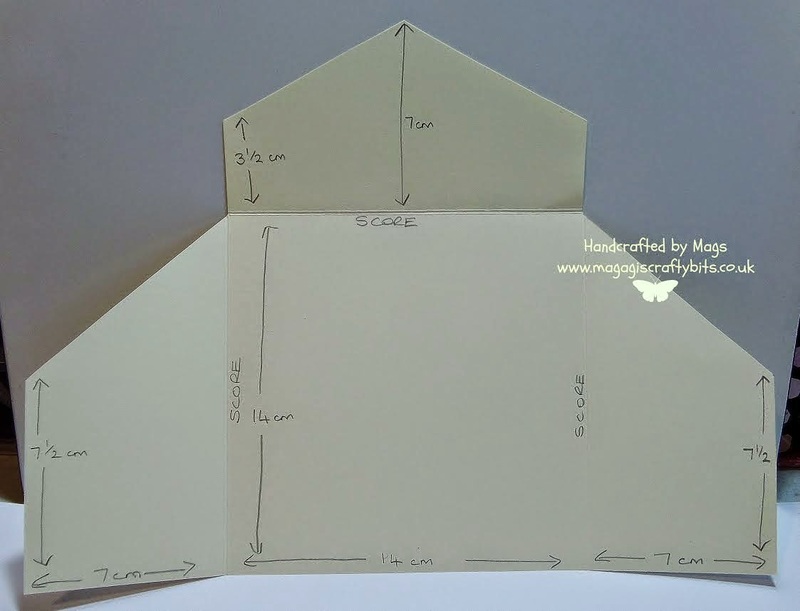 Measure, cut and score as shown. Matt your chosen cardstock onto the card base. I used my favourite colour of purple for this. 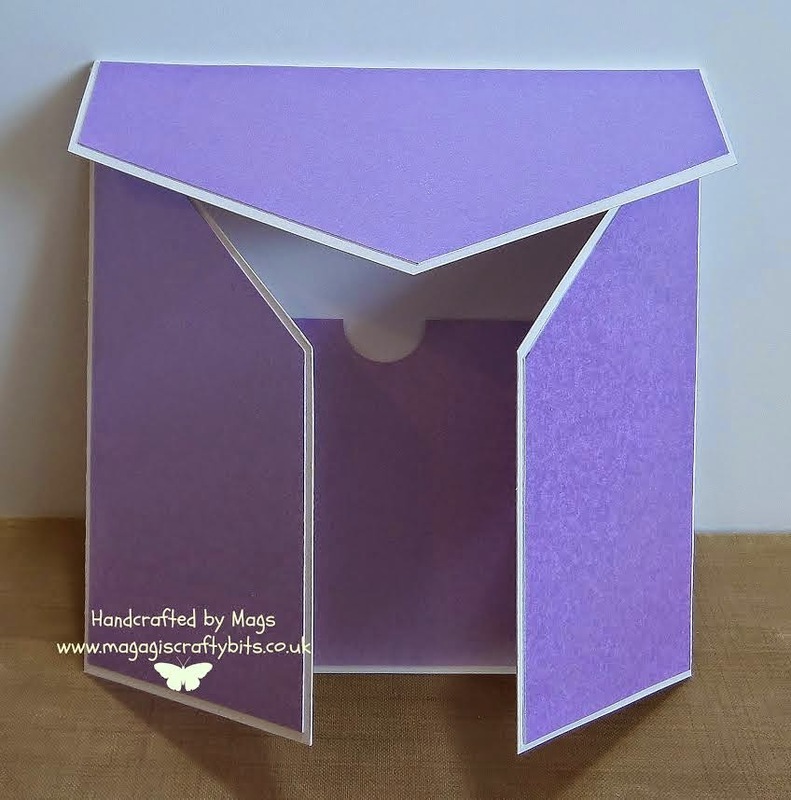 On the inside of the card create a pocket using the same colour cardstock. 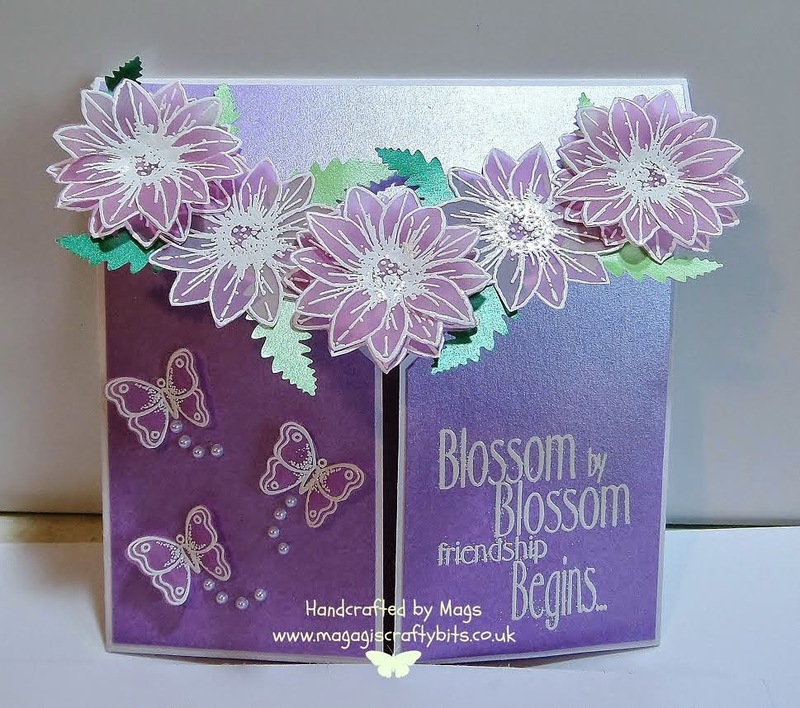 Stamp the small daisy stamp several times onto coloured vellum (I used purple) and 3 small butterflies and emboss with white embossing powder. Also stamp a sentiment onto one of the front panels. I used the Friendship sentiment set from Imagination Crafts for this. 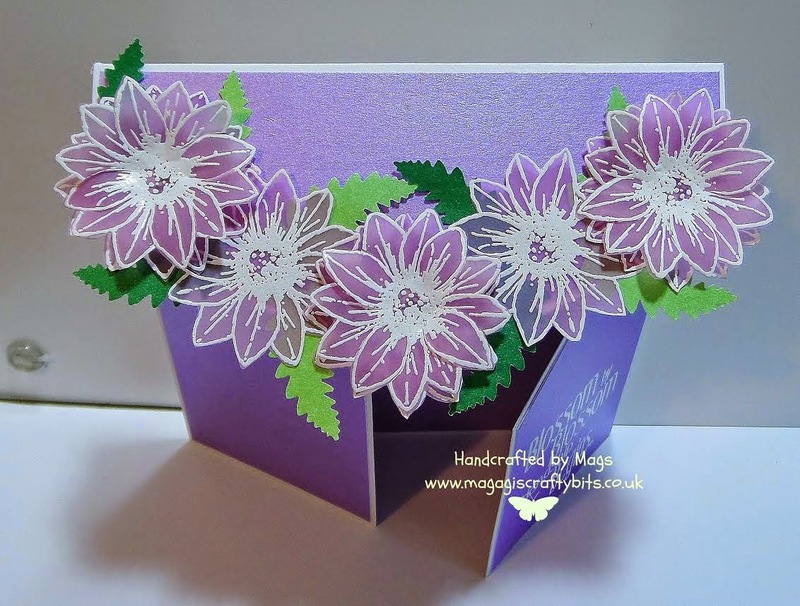 Glue the flowers onto the top flap of the card. I also added some punched leaves. Decoupage the flowers for added dimension. Decorate the remainder of the card with the butterflies and some pearls. Here is the finished gift card. I have added a gift voucher to the pocket inside but you could easily add a sentiment tag or even cash. We hope you have enjoyed today's tutorial. 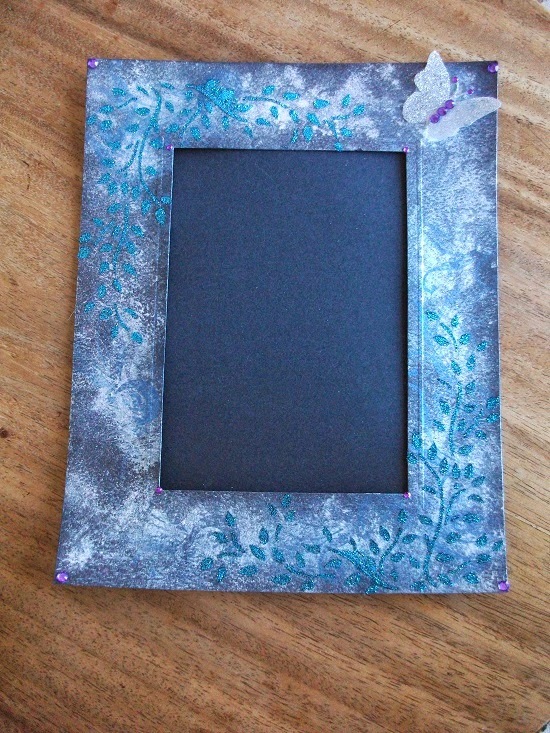 Today we have a picture frame tutorial by Christine. Take a black card picture mount and spritz it with water. 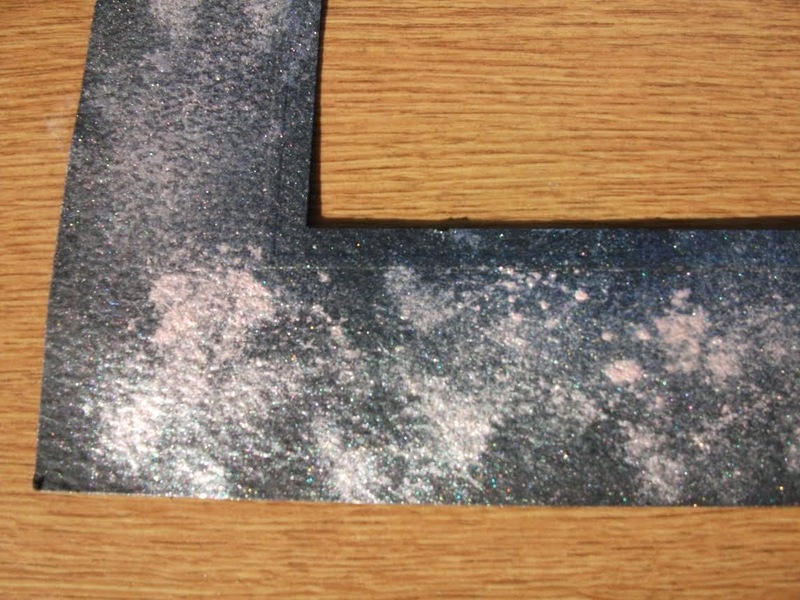 Dust over some mica powders with a big soft brush. 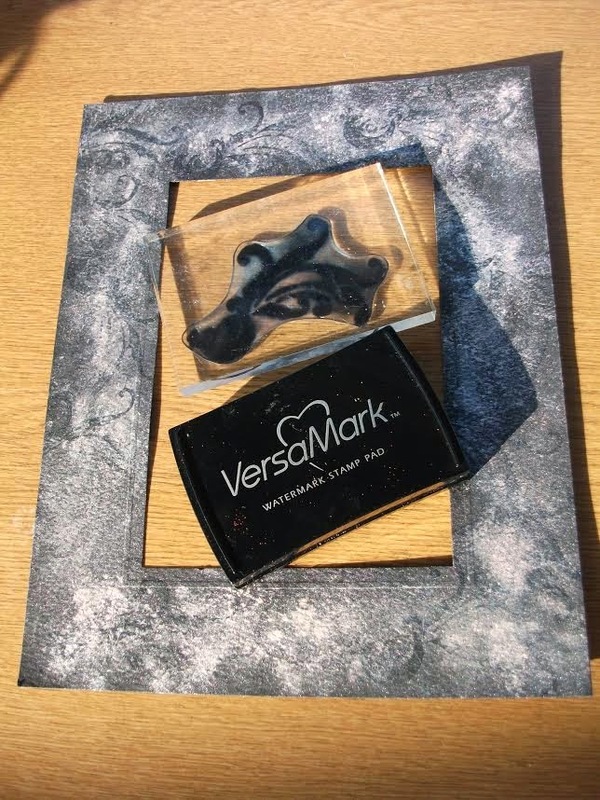 Stamp the Bird of Paradise into the mica with Versarmark Clear Embossing Ink. 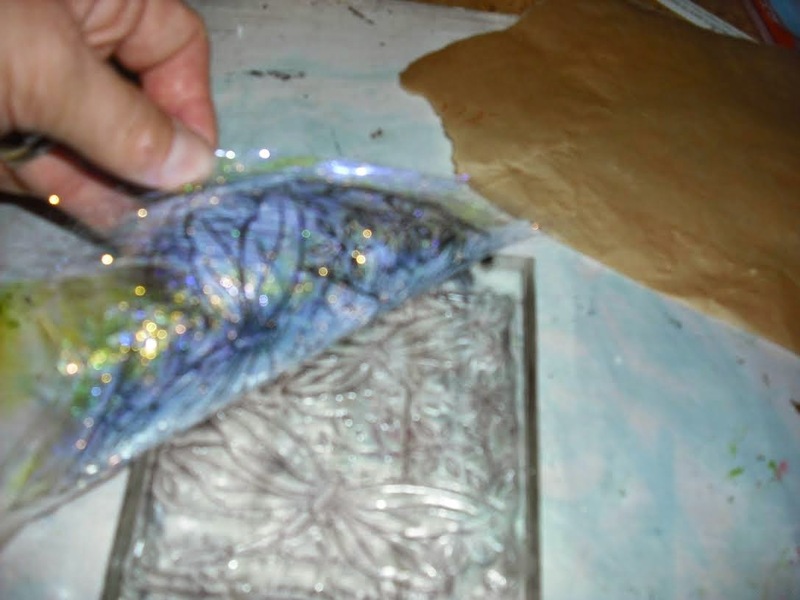 Wipe the stamp each time as the stamp will lift off the coloured mica powders. 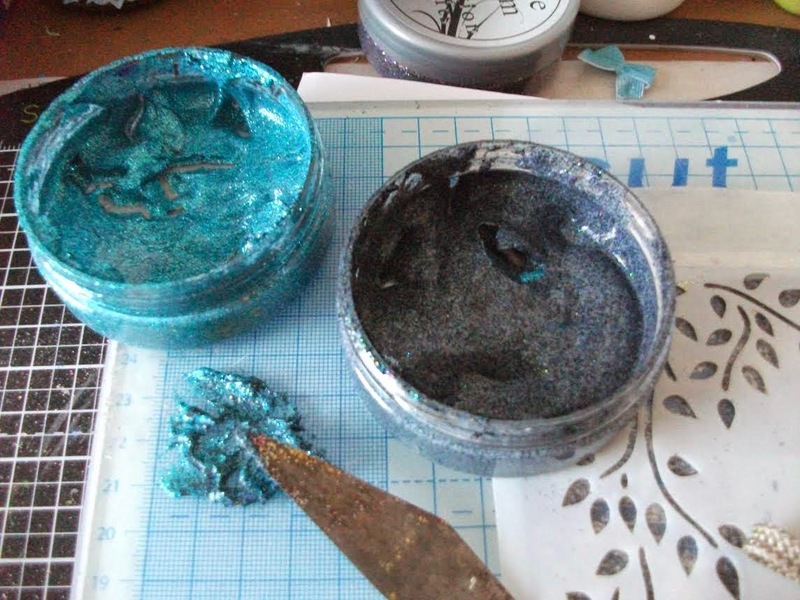 Dust on blue mica powder. 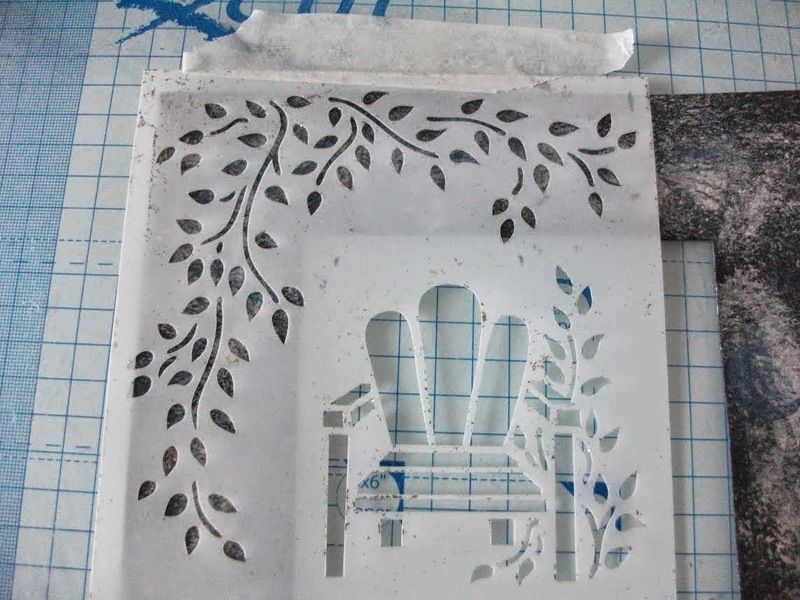 Using the Garden Bench stencil, add the leaves part of the stencil to each corner and spread Turquoise and Black Stars Sparkle Medium mixed together to give a dark shade of blue. 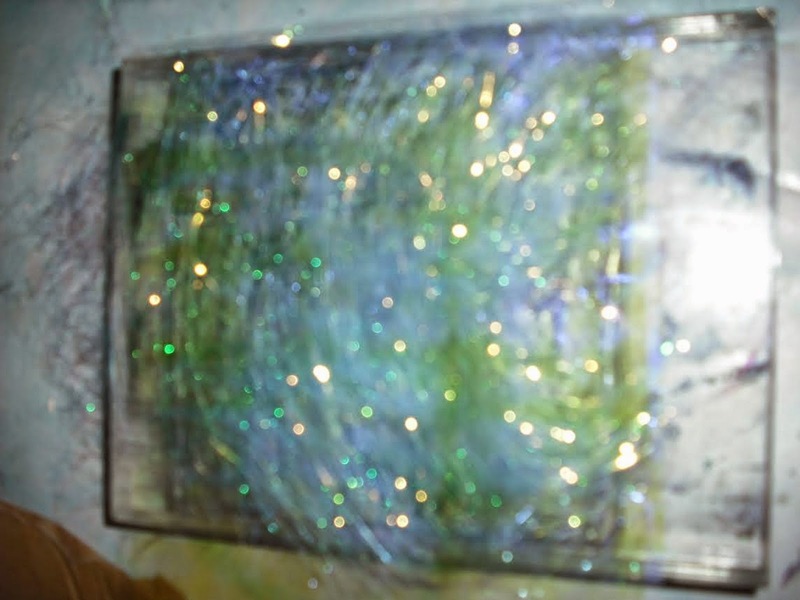 Let the Sparkle Medium dry or use a heat gun to speed up the process. 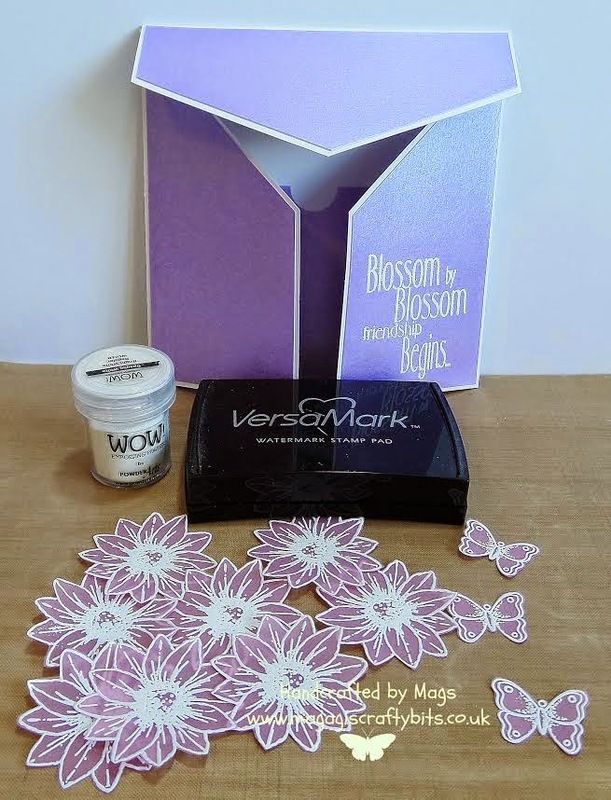 Spread some Silver Sparkle Medium onto acetate using the Butterfly stencil and when dry cut out and add some gems. Fix to the top right hand corner of the frame. Add some gems to each corner and to the Butterfly. The frame is now ready for you to add your favourite photo behind. We enjoy seeing your projects using Imagination Crafts Products. Please share on our Facebook Page.